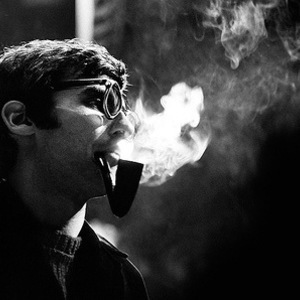 Paul Bley is a free jazz pianist born in Montreal, Canada in 1932 and long resident in the USA. His music characteristically features strong senses both of melodic voicing and space. As well as being a distinctive and innovative musician himself, he has worked with a number of important musicians at key points. In 1957, he played with Don Cherry and Ornette Coleman in California. In the early 1960s he was part of The Jimmy Giuffre 3, a drummerless clarinet, piano and bass trio with bassist Steve Swallow. As well as being a distinctive and innovative musician himself, he has worked with a number of important musicians at key points. In 1957, he played with Don Cherry and Ornette Coleman in California. In the early 1960s he was part of The Jimmy Giuffre 3, a drummerless clarinet, piano and bass trio with bassist Steve Swallow. The quiet understatement of this music makes it possible to overlook its degree of innovation. As well as a repertoire introducing compositions by Carla Bley, the group's music moved towards free improvisation based on close empathy. In 1964 Bley was instrumental in the formation of the Jazz Composers Guild - a co-operative organisation which brought together many of the most radical musicians in New York. Bley had long been interested in expanding the palette of his music using unconventional sounds (such as playing directly on the piano-strings). It was therefore consistent that he took an interest in new electronic possibilities appearing in the late 1960s. He pioneered the use of Moog synthesizers, performing with them before a live audience for the first time. This led into a period of the Bley-Peacock Synthesizer Show, a group where he worked with songwriter Annette Peacock on bass and vocals. Subsequently Bley returned to a predominant focus on the piano itself. During the 1970s, Bley was responsible for an important multi-media initiative, Improvising Arts Inc which issued important LPs documenting the early group with Ornette Coleman as well as solo piano recordings by Sun Ra and videos. Bley was an important influence on Keith Jarrett.